Tiny Doors ATL is an installation art project throughout the city that consists of an ever-changing series of, well, tiny doors, flanked by miniature picket fences, bulletin boards, and other accessories. The project was cofounded by Karen Anderson in the summer of 2014, after she moved here from Michigan. She got the idea from a similar project in Ann Arbor, the college town just west of Detroit. Each doorway is decorated to fit inconspicuously into its surroundings and stands about six inches high. Anderson and cofounder Sarah Meng see the doors as bits of whimsy that will “interrupt” the lives of passersby. 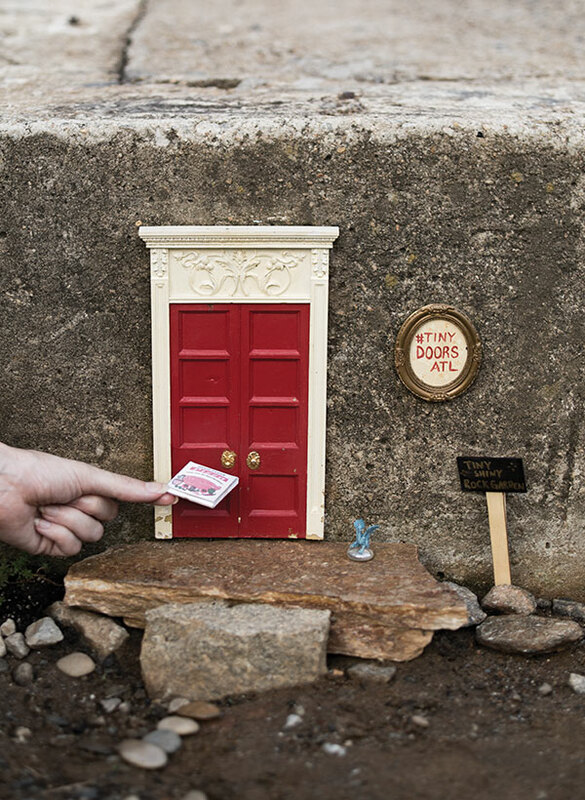 So far there are eight tiny doors in Atlanta, with plans for two more by the end of this year.